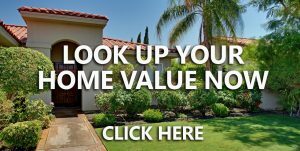 “My husband, Don and I had the great pleasure of working with Diane when we were looking for a home in Simi Valley. Diane did not waste a moment of our time and quickly found several properties for us to see. After seeing several properties, and knowing exactly what our needs were, she found us our lovely home in the Casa Flores gated community in East Simi.We moved in February 2011. Ideal in every way, Diane had done the perfect job. Diane not only is kind and very considerate, she also was very knowledgeable and professional from the beginning of the transaction to the very end of it. She maintained good communication and always called as soon as she had gained even a small amount of information to help us move forward with the very short escrow that we needed. We call her a friend and never would hesitate to recommend her to anyone we know who is in need of a very fine real estate agent. “I have been involved with real estate for the past 41 years and Diane Eleniak of Keller Williams Realty is the ultimate professional. In today’s business and financial environment there are no shortcuts to a successful real estate transaction. Diane possesses the real estate expertise and specialized people skills far and above any agent I have ever done business with. My experience with Diane was extremely organized, planned, proficient and structured to the infinite detail. I truly believe her work ethic was the reason my property closed escrow on the exact date it was written for, with a full price offer.